In addition to the Forest School training we are now running a variety of CPD (Continual Professional Development) courses. These courses are open to those who have completed their level 2 and level 3 FS training. As FSTC is working in partnership with Bishops Wood Centre, Worcester, we have also added in a link at the bottom of this page to the CPD 'short' courses run in their centre. The Advanced Forest School training courses have been developed by FSTC specifically as CPD to progress the range of practical skills of the Forest School Leader (level 3) and FS Assistant (Level 2). The training will enable FS Leaders to develop their practical skills beyond that of their initial training and help develop progressing the learning of the children and young people attending their own FS practice. These courses are 2-day and accredited through OCN (Open College Network). A non-accredited option is available. Further Advanced Forest School courses will be about Ropes, Firecraft, Flora & Fauna identification. Dates to be confirmed. 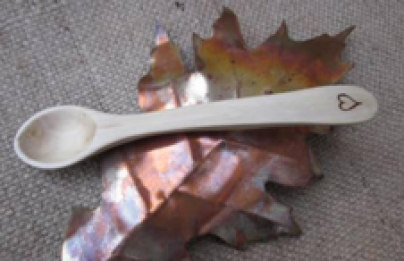 Louise Ambrose is running a spoon carving workshop at Haldon Forest Park, near Exeter. This is taking place on Saturday 20th October 2012 from 10am - 4pm. 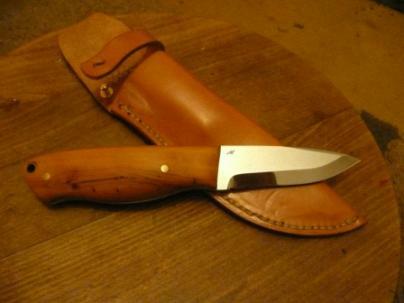 Cost is £35. Whittle away a day in the woods, creating your own spoon! This 1-day workshop will take you through the whole process, from branch to spoon. Suitable for anyone aged 14 years plus (under 18's need to be accompanied by an adult). Bishops Wood, our partner organisation, run a variety of CPD short courses for Forest School leaders and assistants , including Storytelling, Play Structures, Earth Education.